3rd AlcoSense Elite | What Car? 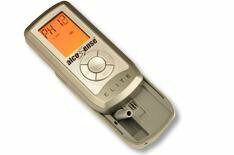 Accuracy: The AlcoSense Elite performed well in our tests, giving accurate results throughout. Value for Money: The Elite pips the AlcoHAWK Slim 2, by costing a few pounds less. Ease of Use: The Elite has plenty of functions, but some of the symbols on the screen are small and hard to see. Its simple enough to perform a breath test, though; the unit counts down to zero while it prepares the sensor, with the results displayed immediately afterwards. Warning symbols are shown if you are near, at, or over the drink-drive limit. The instruction manual is both comprehensive and easy to follow. Owning: Annual checks are required, and these cost between 12.99 for calibration and 24.99 for calibration and a full service.